The elegant Slide series embellishes any entrance. In addition to stylish coat racks, other accessories are available. 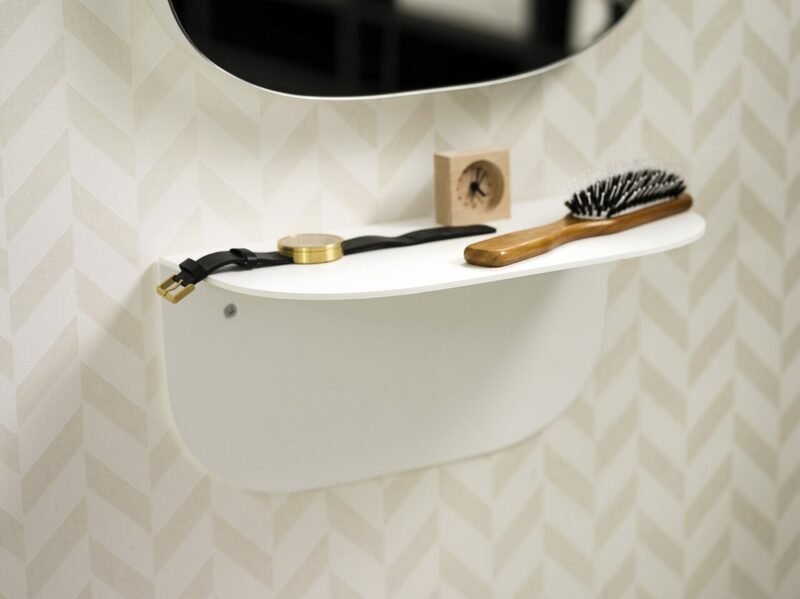 A practical aluminium shelf is a good place to store keys or make-up. The shelf is 35 cm wide and 4 mm thick. A perfect match for the Slide mirror. 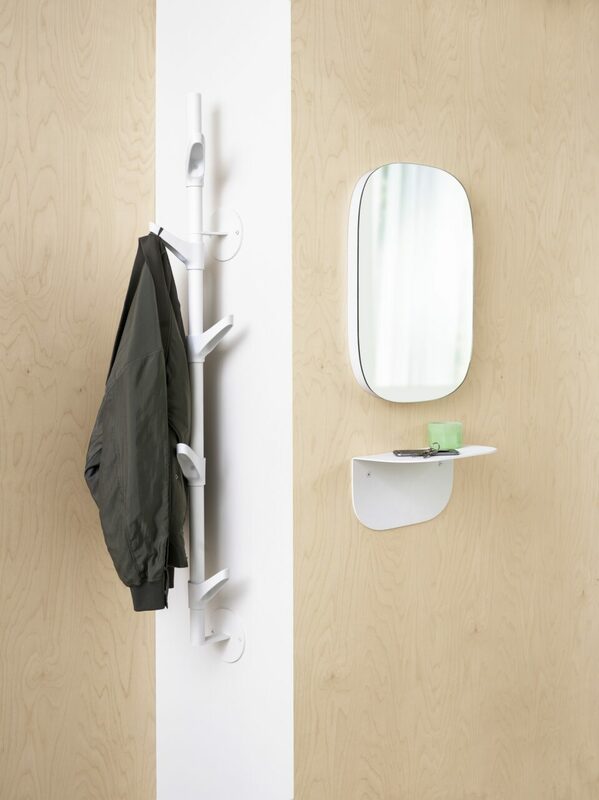 Combine the Slide shelf with the Slide mirror and wall mounted coat rack. Ideal for entrances with limited space. 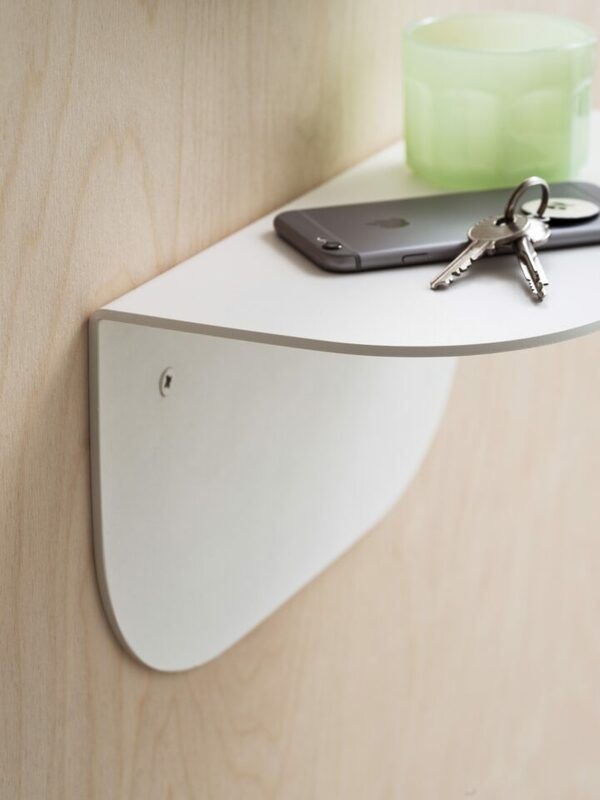 The shelf is a subtle beauty thanks to its elegant shapes. The elegant Slide series embellishes any entrance. 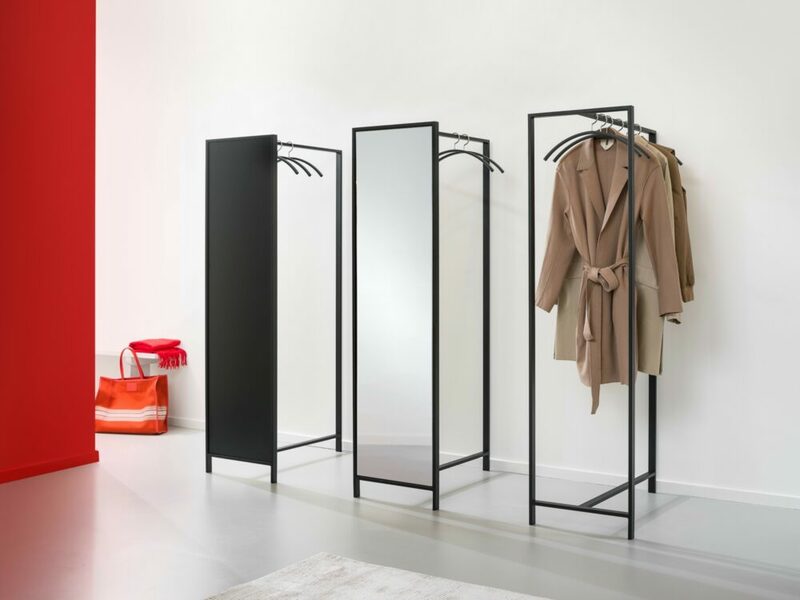 The flexible Slide coat stand comprises two white powder-coated metal tubes. Through sliding them in and out of each other, it is a simple matter to jam them between the floor and the ceiling up to a height of 3.40 metres. The six plastic hooks can be mounted in various positions. The elegant Slide series embellishes any entrance. In addition to stylish coat racks, other accessories are available. Cast a passing glance in the Slide mirror before you leave. 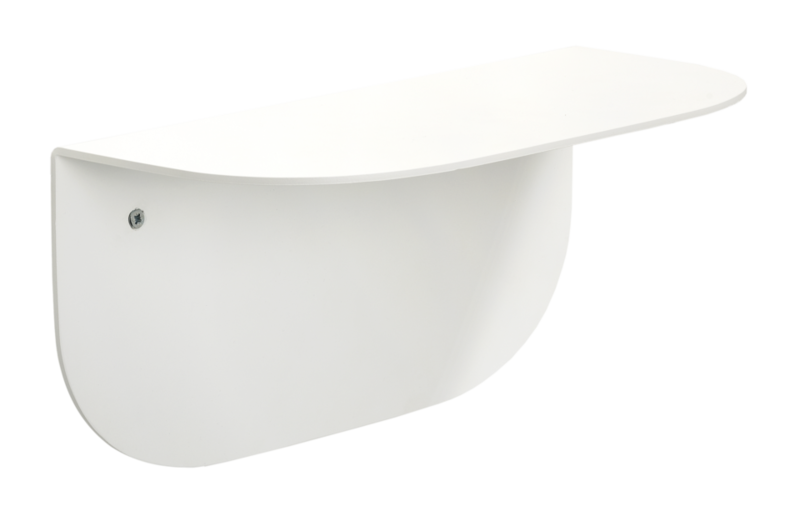 A refined rounded shape, sturdy and robust thanks to the laminated chipboard back. 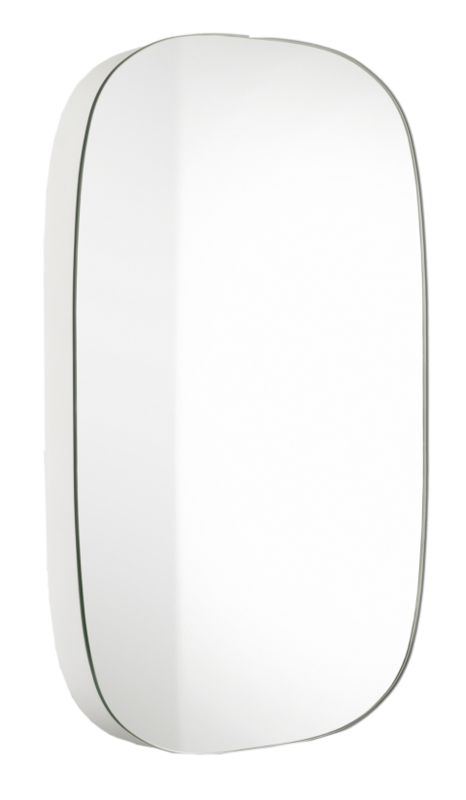 It can be mounted horizontally or vertically. The elegant Slide series embellishes any entrance. The flexible Slide G coat stand comprises two white powder-coated metal tubes. The six plastic hooks from the Slide G1 can be mounted in various positions. Need more hanging space? Then the Slide G2 and Slide G3 are the answer. The elegant Slide series embellishes any entrance. The flexible Slide W coat rack is a metal tube with a white powder coating. The four plastic hooks can be mounted in various positions. Need more hanging space? Then the Slide W2 is the answer.